EOS helped us refocus on what our organization’s real value is, which gave us the ability to prioritize, plan, and ultimately grow. In the beginning, I worried that EOS would be another item on my already to long to do list. What I realized was that EOS gave me a new perspective on what our organization was doing and–just as importantly–what it shouldn’t be doing. Items began falling off my to do list permanently. EOS also helped me take a fresh look at our team and identify people who had the ability to take on more responsibility, freeing me to focus on growing the organization more. Wayne has been an ideal partner in this process. He explains the EOS fundamentals, sharing insights and training us to implement these strategies in our organization. But he has also been a coach and cheerleader, encouraging us as individuals to grow into our roles as team leaders, make the hard decisions, and then celebrating with us as we reap the rewards. Wayne has been a key team member in our organization’s success and in our implementation of EOS. We couldn’t have done it without him. “Being a small business owner can be a lonely existence when it comes to getting advice. 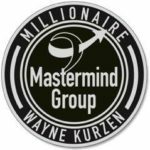 Wayne Kurzen spoke to my leadership group of small business owners and provided relevant and applicable counsel that helped us work on the business not just in the business. Wayne’s background and teaching style led to a fruitful dialogue enabling effective content to be discussed in ways that apply to each of our business challenges. “I became aware of the EOS® business system while at a professional pharmacy conference. As the owner of a growing independent pharmacy, I am able to see both the benefits of our growth as well as the many new challenges of managing that growth. I knew that we needed help, and EOS® appeared to be the solution for which we were searching. We chose to move forward with implementing the EOS® system, and to work with Wayne Kurzen as our business coach. In just the first 4 months of working with Wayne, we have been able to identify our company structure, discover our values and vision, and develop meaningful goals that aren’t out of reach. “All businesses need to be fine-tuned from time to time. Whether it is in the area of communications, decision making, goal setting or company structure there is always room for improvements and sometimes far greater than you believe. Darrell Lee, Owner, Future Services, Inc.
Donnie Pemberton, President, The Pepi Companies. “Approximately one year ago we began coaching with Wayne Kurzen. Our top objective was to put into place a succession plan and to coach my two sons and my “right hand man” to run the company in my absence. Overall, our business has made a 180 degree turn. Net Margin has increased from 1% to 9%. We have a documented procedures and contingency plan. Our Key Performance Indicators constantly show improvement. Emory Young, Owner, Certified Electric, Inc.
Jimmy F. Tester Jr., President/Owner, Mammoth Detail Salons, Inc.
“For Last two years or so, my Dental Practice had been doing fairly well for me. But, I had reached a plateau that I had a hard time getting above! I began coaching with Wayne Kurzen at the end of 2009. At that time, we were running 20% below my 2008 production numbers. In four short months, we ended 2009 only 5% off 2008 numbers and my December 2010 was 30% higher than December 2009. And we only spent an additional $100 on marketing during that four month period. We are off to a great start in 2010. In January we were up 28% over the previous year. I was pleasantly surprised how Wayne is also able to get my staff excited about our business and practice potential. My only regret is that I did not start my coaching sooner with Wayne. I am thankful to have a mentor, business coach and a” go to person” for all my business questions and decisions. “Wayne has helped me in many areas. The following is an example of how coaching helped to start the process of aligning our company. Wayne Kurzen has helped us in numerous ways that continue to pay benefits even after we completed our working together. He helped us build a stronger company structure, identify our key metrics, and taught us to quickly and deftly identify issues and find solutions. This is by no means a complete list, but certainly provides a sense of depth and breadth of what Wayne brought to Renewal, and how he inspired us to achieve business excellence. As I write this testimonial, I reflect that I just came out of our powerful weekly Leadership meeting which was run using the “EOS® Level 10 Weekly Meeting Agenda.” Wayne told us early on that his goal was to work himself out of a job. Mission accomplished!